Things to Consider Before Purchasing a Project Car - Muscle Cars Zone! If you’re in the market for a new muscle car, it helps if you do a little research before you make any decisions. Though there may be a few beauties that you’ve had your eyes on for a while now, haste can lead to buyer’s remorse if you’re not careful. Getting a reliable car that you can restore or trick out to your heart’s content is not the same as purchasing a vehicle for everyday purposes. Therefore you might want to consider the following pointers to improve the chances of you getting the right muscle project car at the right price the first time. Don’t just think of how much you’ll need to pony up to purchase your vehicle. You’ll need more than a ballpark figure of what you can expect to spend on modifying your new ride. If you plan to hook your vehicle make changes to it so you can do more than just showcase it at shows, you’ll need to know how much parts and restoration services cost ahead of time. Now is a good time for you to start looking for repair shops and experts you feel comfortable with too. 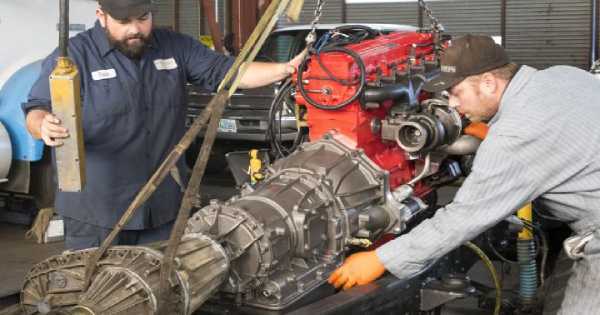 There are many auto repair and collision shops that specialize in muscle cars, but not all of them have the same energy and resources to meet your needs. Just like you would take your time to carefully screen contractors to work on your home, you should be willing to put forth the same or close to the same effort when it comes to your hot rod. One of the most creative and potentially rewarding things you can do with your hot rod is to make adjustments that give it a superior edge over what is popular and common in the industry. Why settle for a vehicle that looks and functions like everyone else’s when you can have one that captures the hearts and interests of all enthusiasts. For example, if the hot rod you want is desirable in all aspects except for its motor size, consider beefing it up. There’s no written law dictating that you have to stick with the manufacturer’s original schematics. If a bigger engine is what you want, check out your options and choose one that will give you ride macho attitude you want it to have. By no means should you trick out our vehicle and forget about comfort. If your muscle car is an early model, you might want to consider adding an air conditioning system so you don’t have to worry about overheating and becoming uncomfortable while you are racing or showing it off. Make sure that any aftermarket customizations you incorporate into your muscle car enhance its function and aesthetics. Even though there are some modifications that can really increase the initial value and appeal of your ride, they are not always what is best suited for it. All aftermarket modifications should work in harmony. If you find that some adjustments and additions are causing problems or resulting in frequent repairs, you might want to stick to traditional options and what works. Don’t forget to insure your ride. Hot rods, even those that are not fully restored or modified tend to fetch a pretty penny. Don’t leave your investment vulnerable to the unexpected. There are insurers that specialize in rare and collectible cars. Choose your insurer wisely and be proactive in keeping your vehicle safe and secure at all times. Purchasing and owning a hot rod or muscle car requires a little more thought and investment than the average vehicle. However, the more proactive you are before you purchase can help you to make a great decision that you’ll enjoy for many years to come.